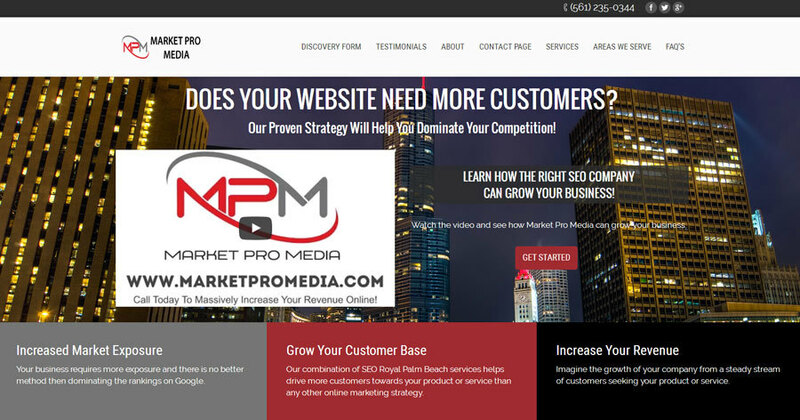 Here at Market Pro Media we have earned the reputation as one of the best Marketing Firms in Royal Palm Beach and for a good reason. We specialize in SEO Marketing, Reputation Management, and Web Design. We provide affordable Search Engine Optimization without long term contracts, and only use proven Search Engine Marketing practices that are trusted by the top brands online.